Task Force Twilight #1 goes online on December 22nd. It All Comes Down To This: Furia and the Guardians 25 Is Now Online! One last fight with an old enemy. But will this be Furia’s last fight? Find out in this extra-long final issue of the series. Issue #25 of “Furia and the Guardians” will be the last issue of the series, so it’s only right that some very special things happen in this issue. One of the things that will happen will be the return of a long-lost Guardian. Katie Lea Powers, otherwise known as Lyon Powers, has been away since she was attacked by the vengeful Isea. Readers may remember that confrontation in “The Libra Order: Debts of Honor”, and as was shown in subsequent issues of “Furia and the Guardians”, Lyon hasn’t been the same since. Cursed from the specific nature of Isea’s assault, Lyon has been in the family home in Cardiff, trying to handle the painful sporadic overload of her elemental powers. Her absence has been felt by her two adopted sisters, Galatea and Furia. Since Lyon had been living with Galatea for a few years, the sudden decision to give her room to Furia came as a shock, but both Powers women also could understand Lyon’s decision and hoped she would return. Now Lyon Powers, the Welsh lioness, comes back to Paragon City just in time for Furia to face her greatest challenge yet. But can she help Furia when she needs it the most? Find out on September 29th when “Furia and the Guardians” #25 goes live! Furia and the Guardians 24 is now online! The cops that make up the Blue Dog Squad think themselves as untouchable. They’re part of the system, and the system takes care of itself. 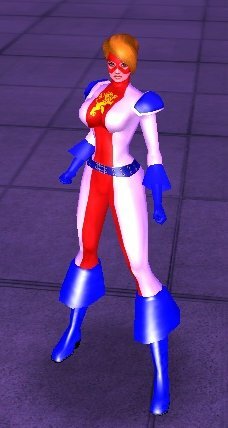 But this is Paragon City we’re talking about, otherwise known as the “City of Heroes”, and the heroes are making a case against the Blue Dogs and their criminal abuses. So what do the Blue Dogs do to make that problem go away? They make the complainers go away. They’ve done it before, and they want to do it again. But do you really think the Guardians of the Dawn will let that happen? Find out! Ready for a taste of Issue 24 of “Furia and the Guardians”? But why would the news media withhold something so shocking? Could they be part of the same “conspiracy” that is protecting the corrupt cops? And what does it mean for those heroes that also witnessed the corrupt actions of McCade and his Blue Dog Squad? Would they be silenced as well? Find out when “Furia and the Guardians” #24 goes online on July 28th!